Blair, DG. 2001. 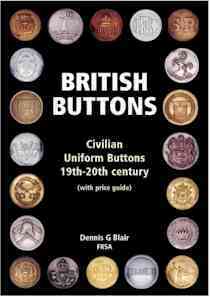 British Buttons - Civilian Uniform Buttons 19th-20th Century (with price guide). 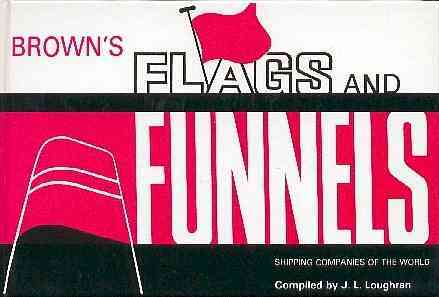 ISBN 1897738048: Greenlight Publishing. Cossum, JK. 1988. 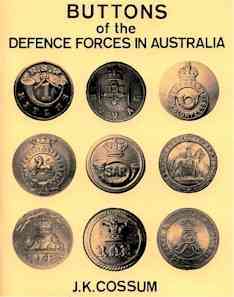 Buttons of the Defence Forces in Australia. ISBN 0731630831: JK Cossum. Ramon Guirao Larranaga & Miguel Angel Camino del Olmo. 1999. Botones Espanoles de Uniforme. ISBN 8478236856. Ministerio de Defensa, Spain. Boczkowski, W, Jarozynski-Wolfram, M & Gladki, K. 1999. GUZIKI - Prezewodnik dla kolekcjonerów. ISBN 899124850X. Warsaw. 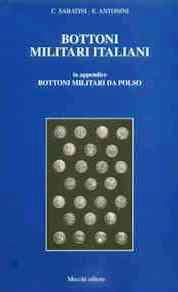 Polish Military Uniform Buttons from 16th - 20th Centuries - A Collector's Guide. Polish text with introduction and list of contents in English. Poulsom, NW. 1998. 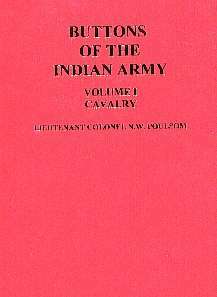 Buttons of the Indian Army - Volume 1 - Cavalry. 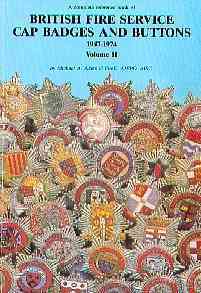 ISBN 0854200797: Military Press International. Black and white line drawings of pre-1947 buttons. Comprehensive research including dates and changes of unit titles. Poulsom, NW. 1998. 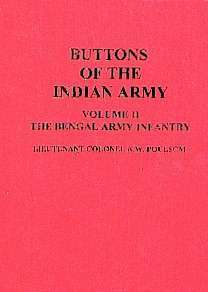 Buttons of the Indian Army - Volume 2 - The Bengal Army Infantry. ISBN 0854201599: Military Press International. Poulsom, NW. 1998. 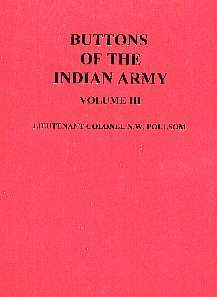 Buttons of the Indian Army - Volume 3 - Punjab Frontier Force, Madras Army Infantry, Hyderabad Infantry. ISBN 0854201513: Military Press International. Poulsom, NW. 1998. 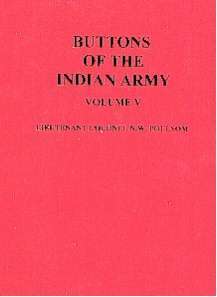 Buttons of the Indian Army - Volume 4 - Bombay Army Infantry, Gurkha Infantry. ISBN 0854201610: Military Press International. Poulsom, NW. 1998. 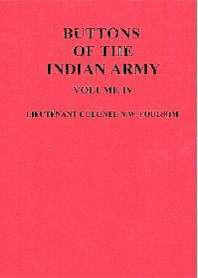 Buttons of the Indian Army - Volume 5 - Arms and Services pre-1947. ISBN 0854201718: Military Press International. Ripley, H. 1983. Buttons of the British Army 1855-1970. 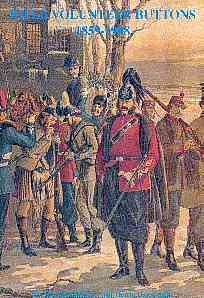 ISBN 085368569X: Arms and Armour Press. Ripley, H. 1983. 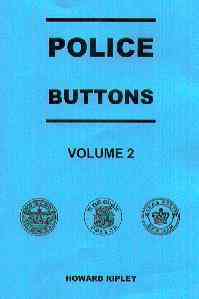 Police Forces of Great Britain and Ireland - their Amalgamations and their Buttons. ISBN 0901718297: R Hazell & Co.
Ripley, H & Darmanin, D. 2000. Police Buttons - Volume 2. 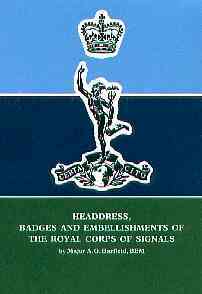 ISBN 0952793814: Police Insignia Collectors Association of Great Britain. Ripley, H & Darmanin, D. 2002. 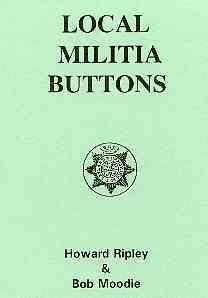 Buttons of the Regular Army 1855-2000 - An Illustrated Reference Guide for Collectors. ISBN 0952446111: H Ripley. Ripley, H & Darmanin, D. 1996. Rifle Volunteer Buttons 1859-1908. 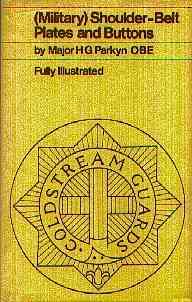 ISBN 0951060341: Military Historical Society. Ripley, H & Darmanin, D. 2013. Scottish, Welsh & Channel Islands Infantry Militia Buttons 1757 - 1881. ISBN 9780952446132: H Ripley. Ripley, H & Moodie, B. 2002. Local Militia Buttons 2nd Edition. ISBN 095244612X: H Ripley. Smylie, E. 1996. 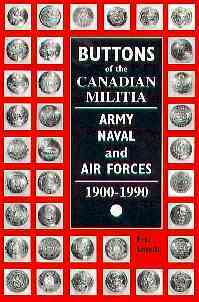 Buttons of the Canadian Militia. ISBN 1551250047: Vanwell Publishing, Canada. Squire, G. 1972. 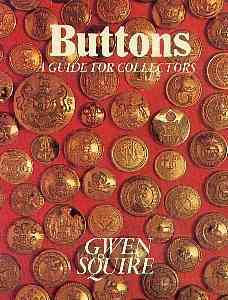 Buttons - A Guide For Collectors. ISBN 0584100353: Frederick Muller Limited. 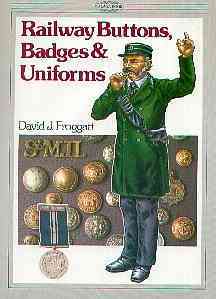 This is the best book on uniform buttons, but unfortunately is no longer published. 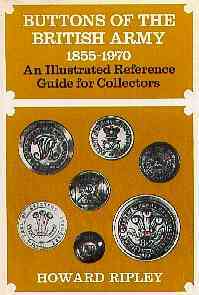 Second-hand copies are rare and expensive - if you are serious about button collecting and see a copy for less than £60.00, you have a bargain - buy it immediately. 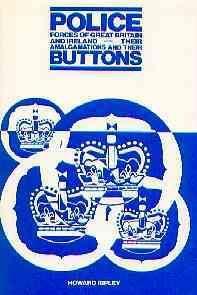 The book illustrates and identifies buttons from the United Kingdom and many overseas countries. In addition to military and police buttons, it covers ambulance, fire service, prisons, hospital, blazer, clubs, livery, hunts, public and private companies, hotels, American state seals, town crests, schools, customs & excise, airlines, shipping, railways and transportation. Squire, G. 1976. Livery Buttons - The Pitt Collection. ISBN 0950474800: Leghorn Company.